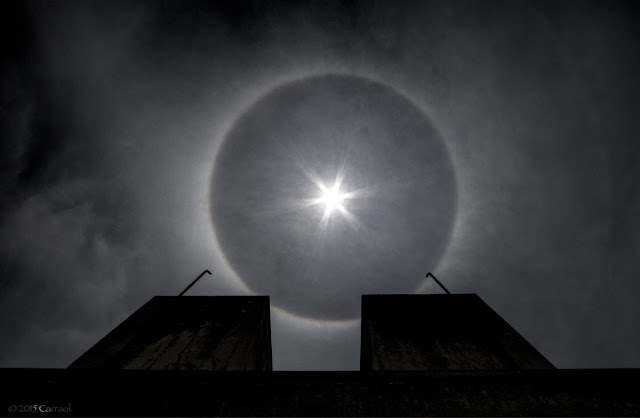 A halo also known as a nimbus, icebow or gloriole is an optical phenomenon produced by light interacting with ice crystals suspended in the atmosphere, resulting in a wide variety of colored or white rings, arcs and spots in the sky. 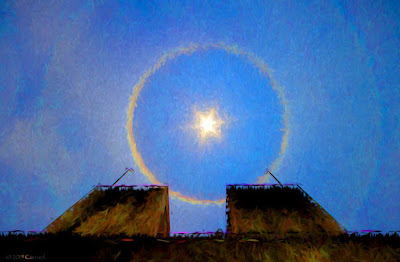 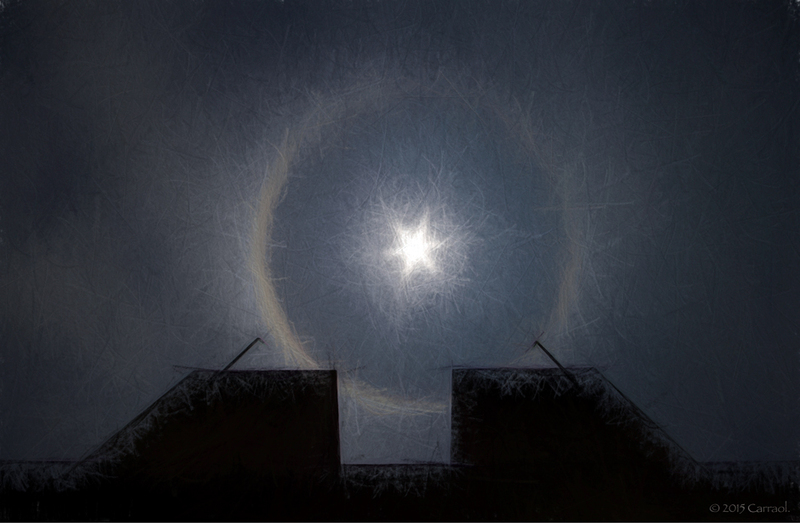 Many halos are near the Sun or Moon, but others occur elsewhere or even in the opposite part of the sky. 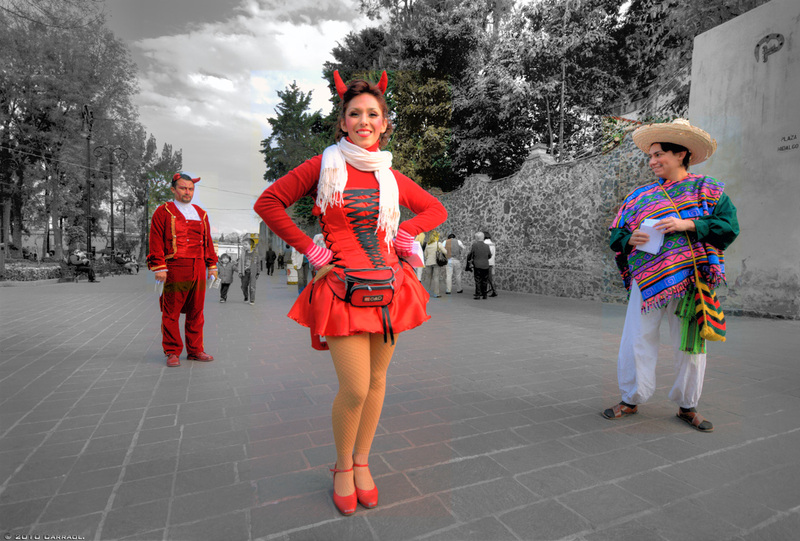 Among the most well known halo types are the circular halo (properly called the 22° halo).